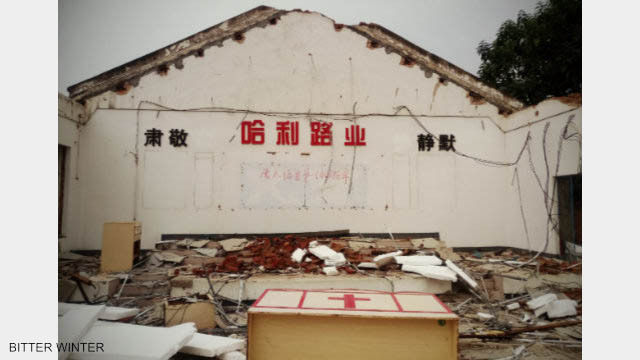 The notice of demolition for Yangzhai Church. 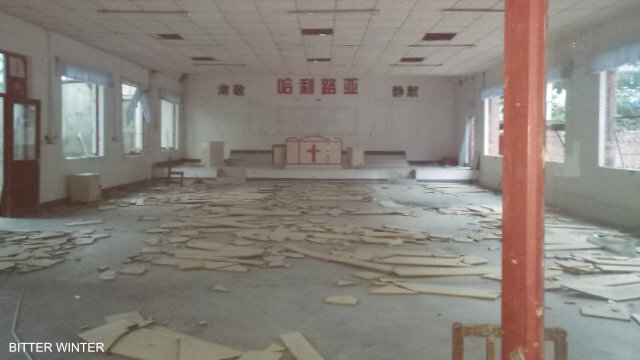 After a sequence of well-planned mischievous manipulations, Henan authorities made members of the Yangzhai True Jesus Church congregation sign a document condemning their church to demolition. 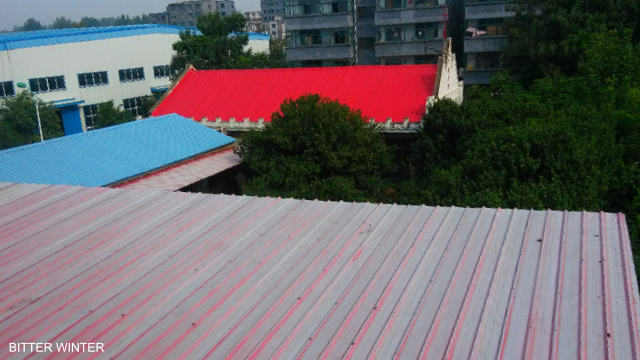 On September 1, 2018, seven officials from the United Front Work Department and the local government of Erqi district in Henan’s Zhengzhou city came to the Yangzhai True Jesus Church during a congregation meeting under a pretext to check the church’s permit. 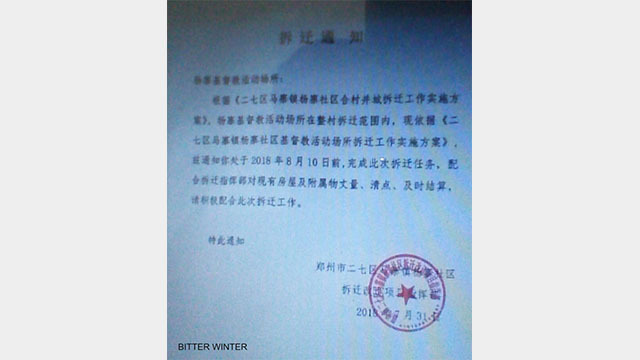 After it was presented, the permit was confiscated, and the believers, whose personal information has been taken down by the officials, were ordered to leave. A week later, the church’s leader was invited by the Religious Affairs Bureau to come to their office to “talk about the church affairs,” and was arrested upon arrival. When some members of the congregation went to the police station where the leader was held to seek justice, they were all detained as well. 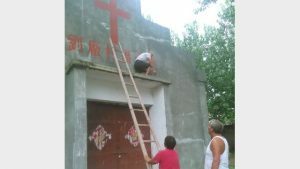 Officials demanded that the believers signed their names and affixed their fingerprints on the “Notice of Church Demolition,” or else they would not be allowed to leave. When they refused to sign the document, the officials brought their children to the station, and in front of them, threatened the believers that their children and grandchildren will suffer consequences if they continued to believe in God. Threatened and intimidated, the detained eventually signed the document, condemning the church to be demolished against their will. 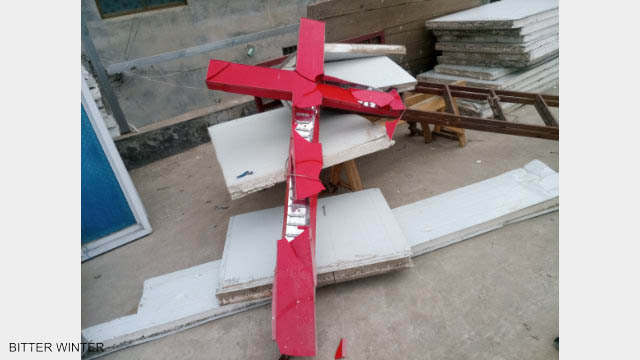 In less than a week, on September 16, under orders by the local government, the cross from the church’s roof was removed first, and later, an excavator proceeded to demolish the church building. 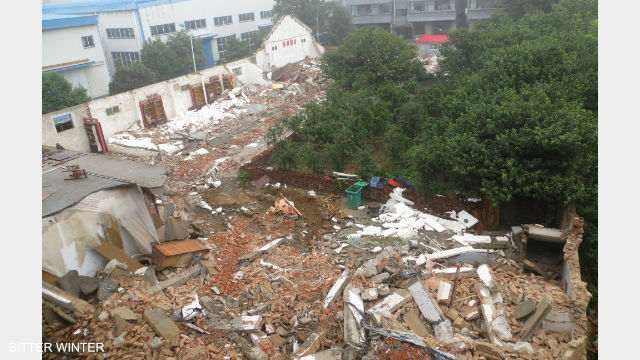 In just 20 minutes, the Yangzhai True Jesus Church, built 29 years ago, was destroyed. The roof of the church before the demolition. The interior of the church before its complete demolition. The remnants of the church walls.